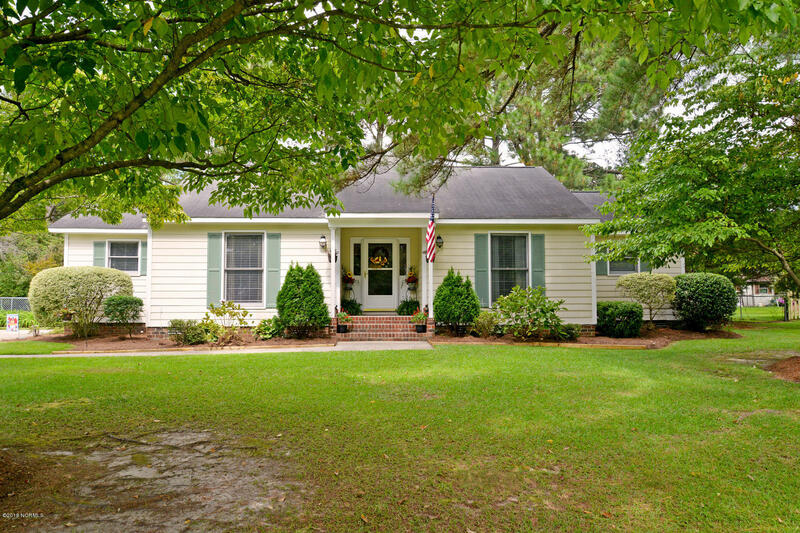 Adorable 3 bedroom home in popular Cherry Oaks! Fantastic school district & neighborhood. Foyer opens to large formal dining room, spacious kitchen with breakfast bar and breakfast room. Kitchen has lots of counter space and cabinets. Huge den with fireplace is perfect for family gatherings or entertaining. Generously sized master bedroom and two additional bedrooms. Large laundry room is located near bedrooms. Beautiful back yard is fenced. The mature trees and landscaping add to the curb appeal of the home. Nice sized deck for back yard cookouts -Two out buildings in back yd insure that you have plenty of storage space. No carpet in entire home! All this - located within walking distance of the neighborhood pool! Great location - close to shopping, dining, work, and school.